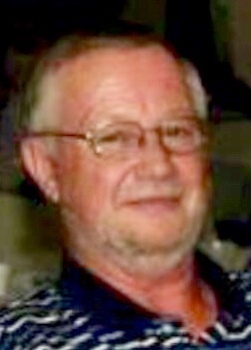 OAKWOOD - George R. Elliott, 70 of Oakwood died at 3:05 a.m. Monday, January 21, 2019 at Paulding County Hospital, Paulding. He was born January 6, 1949 in Paulding to the late Ward and Edra (Eakins) Elliott. On June 17, 1977 he married Donna Shellenbarger who survives in Oakwood. Also surviving are two daughters, Danielle (Robert) Phillips of Paulding and Stephanie (Matt) Bradbury of Antwerp; six grandchildren, Emilee, Alex, Jared, Lucas Phillips, and Noah and Tyler Bradbury; and a brother, LeRoy (Sandy) Elliott of Dublin. He was also preceded in death by two brothers, Warren and Orin Elliott. George retired after 47 years from Johns Manville in Defiance where he was the past union president. He was a member of Christ Lutheran Church, Continental. For 58 years he raised, trained, and was a driver of Sulky Horses. Funeral Services will be held 11:00 a.m. Thursday, January 24, 2019 at HEITMEYER FUNERAL HOME, Oakwood with Pastor Tony Gonzalas officiating. Burial will follow in Sherman Cemetery, Oakwood. Visitation will be from 2 to 8 p.m. on Wednesday and one hour prior to the funeral on Thursday at the funeral home. Memorials may be made to a charity of the donor's choice.